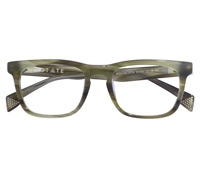 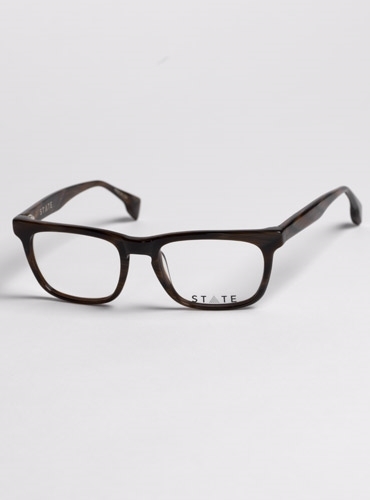 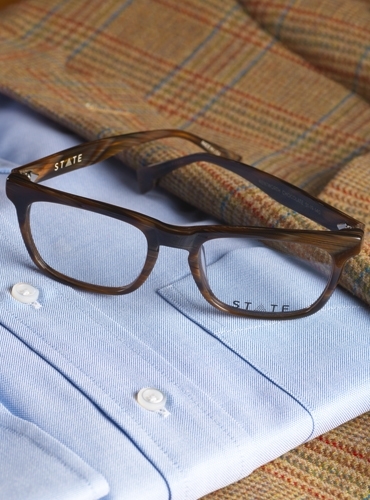 We are excited to introduce exceptional artisan crafted frames from STATE, a Chicago based company, with a commitment to old world craftsmanship and quality, involving 75 steps and hundreds of hours. Each of the timeless styles we have selected is made with unique proprietary hinges and is stamped at the temple with the pyramid of 21 dots representing the State of Illinois. 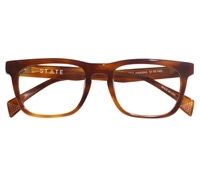 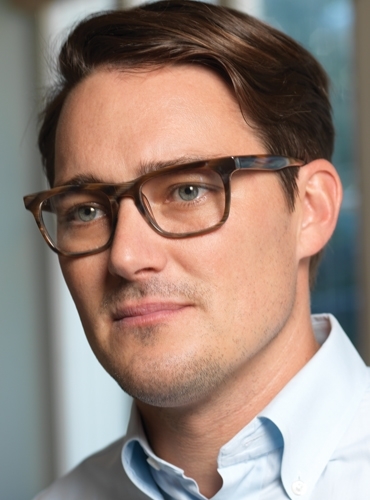 This slightly bolder rectangular frame with a straighter brow has a 19 mm keyhole bridge and a 51 mm lens. 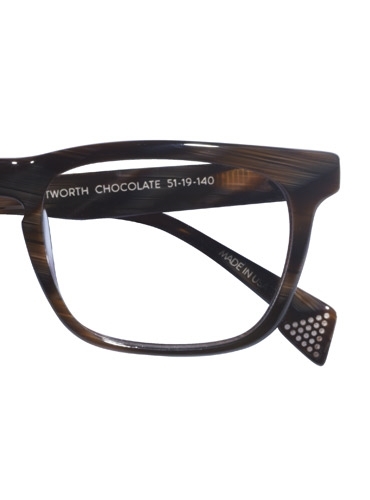 Shown here in chocolate. 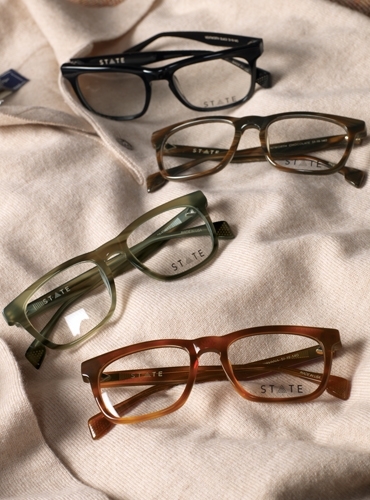 Also available: A-Havana; B-khaki; D-black.